Stringham first color matched her base and used two bags of Hotheads tape-ins in color #60 plus one bag of lavender Colormelts and one bag of pink Colormelts. Your client wants on-trend fashion color without commitment. What do you turn to? Artist Connective member Meg Stringham (@stylingwithmeg) proves vibrant hues don't necessarily mean breaking out the bowl and brush. 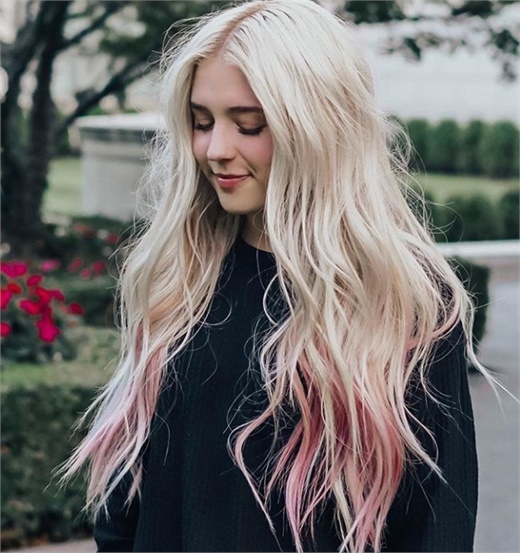 She created a pale-blonde and blush color effect using Hotheads Hair Extensions Colormelts tape-in extensions. Colormelts include a spectrum of gorgeous shades that melt into one another. Colormelts were inspired by hand-painted techniques such as ombré and balayage, but fashioned in a way that requires no chemical services or treatments. Before Stringham applied Hotheads Colormelts tape-ins. Stringham's model started off with a blunt haircut. She first color matched her base and used two bags of Hotheads tape-ins in color #60 plus one bag of lavender Colormelts and one bag of pink Colormelts. 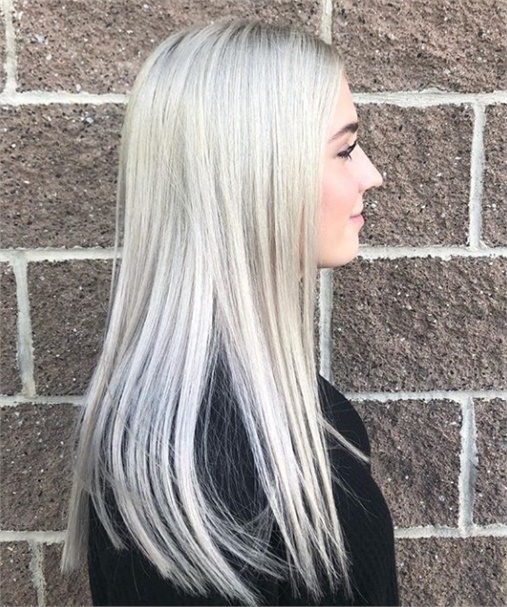 Read on to see how she applied the extensions to create this gorgeous finish. Post extension application and style. 1. Section hair behind the ears and braid it out of the way. 3. Starting 2 inches from the the nape and leaving an inch around the hairline, work up in rows until reaching the occipital bone. 4. For the sides, apply two rows at a diagonal so the hair easily could be pulled into a ponytail. 5. Slide-cut layer technique to flawlessly blend between the extensions and real hair, being careful not to cut any real hair. 6. Curl the hair using a 1-inch iron. Wait for five minutes for curls to set, shake out curls with fingers and add texture spray to finish the look. 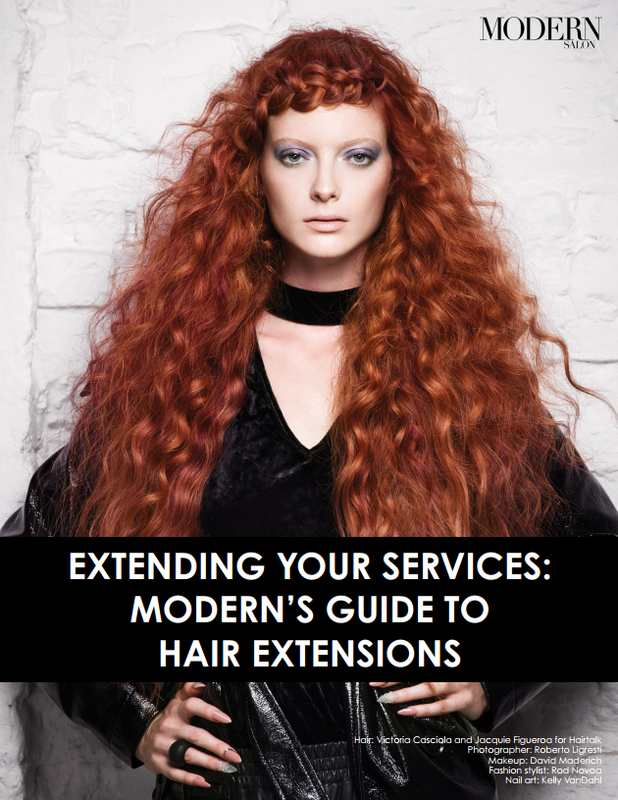 There’s more to learn about the craft, and business, of extensions.